Inspector Littlejohn's understanding of country ways makes him Scotland Yard's first choice for the job. Basing himself at the village inn, Littlejohn works with the local police to investigate what lay behind the murder. A second death does little to settle the collective nerves of the village, and as events escalate, a strange tale of hidden identities, repressed resentment, religious fervour and financial scams is uncovered. Life in the picturesque village of Hilary Magna proves to be very far from idyllic. 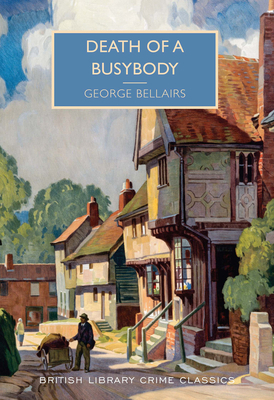 GEORGE BELLAIRS was the pseudonym of Harold Blundell (1902-1985), a prominent banker and philanthropist from Manchester who became the author of a popular series of detective stories featuring Thomas Littlejohn, which were published for nearly forty years.